For this evening, two wonderful chefs paired to prepare a special dinner as part of the World Chef Exchange. It was the pleasure of Ned Bell, Ocean Wise Executive Chef, to welcome JP McMahon, from Ireland. Hailing from a small town, this impressive Michelin-starred Chef left his wife and two children back at home to join Bell for such an occasion. To be sure, the beauty of it all was the passion that both, equally, felt for sea life—an intrepid respect through education, and the desire to do well by both the people they were serving and the creatures at sea, respectively. There was open access to many parts of the vast aquarium before the meal would commence—an experience that opened the imagination and set the mind at a calm ease, as large turtles, sharks, and schools of fish majestically and organically soared around and above the eyes. An enchanting way to start the evening—and one that surely set the mind to relishing in the delicacy of nature, with thoughts on modern cuisine and all that it means to be an informed diner within today’s society. So often craved and coveted for sheer value, but tonight, unassumingly celebrated within each plate. The pop-up experience was set in what day-to-day exists as a bustling café, welcoming children of all ages to eat, casually, and enjoy, turned into an elegant, fresh and welcoming dining space; not so far off from a fully functioning restaurant. 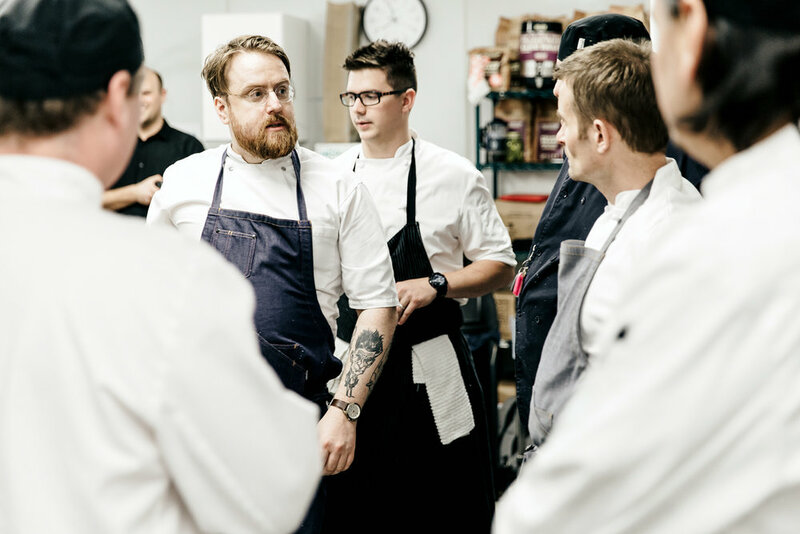 Ocean Wise Pop-Up With Chef Ned Bell will run from Jan 20 – Feb 5, 2017 | Dinner seating will be available at 6 p.m. and 8 p.m. During this time, Discover Rays will be open for Dine Out guests after the early seating or before the late seating. For more information and to book your experience please visit the link by clicking here.